We dissect the record-breaking premiere episode – the call backs to the very first episode, our favorite lines, which moments gave us joy and also which ones left us asking questions. We also share some bold predictions for the rest of the season including who we think will claim the Iron Throne. And of course we discuss the dragon riding scene. Whether you love it or hate it you will definitely want to check out the dragon ride mashup Amita references here). Plus, we review Guava Island, the tropical fable starring Donald Glover aka Childish Gambino and Rihanna which leads us to discuss the risks of setting high expectations for our favorite artists. Then, Sean gives his rating and review of last episode’s Big Sell- the Kore Conversation between Queer Eye’s Tan France and The Good Place’s Manny Jacinto about Asian representation in pop culture and shares his Big Sell for this week- a 2019 Spotify playlist from our friends and fellow podcasters JoJCast featuring their favorite tracks so far this year. We kick off the new year with a special Winter Preview edition of the Inside Pop Quiz! Sean tests Amita’s knowledge of major upcoming releases in TV, Music and Movie. Play along and see how much you know (and how much you find out) about some of the most anticipated offerings of the season. Plus – the Big Sell returns in a big way! Find out why Amita’s Big Sell of a conversation between Gina Rodriguez, Gabrielle Union, Ellen Pompeo and Emma Roberts gets four stars! Plus hear all about Sean’s Oscar campaign season influenced Big Sell – a revealing discussion between actors Mahershala Ali and John David Washington. Dead Again, The Shining, The Babadook, It Follows, A Tale of Two Sisters, The Birds, Funny Games, Martyrs, Let the Right One In, and The Sixth Sense. If you love Television, our report on the 2018 TCA Summer Press Tour is a must! This week, the TCA (Television Critics Association) gathered to hear all of the major networks break news with casting announcements, plot line revelations and promises that their new and returning shows will be the peak-iest in this era of Peak TV. What are the new shows creating the most buzz? How much money is Netflix planning to spend on original programming next year? What are the details about the new Game of Thrones spin-off? Which series will end after this season? 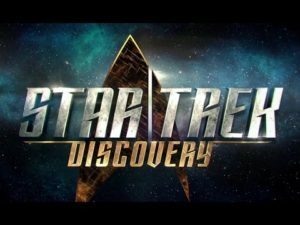 Whether you’re geeking out over Sir Patrick Stewart’s return to the captain’s chair in Star Trek or cheering Alex Garland’s reboot of a classic miniseries, this episode is for you! Plus in this week’s Big Sell – Sean loves Chaka Khan – but how does he feel about the new song Amita Big Sold last week? Plus find out why he is Big Selling a podcast that combines info about trills, Gregorian chants and Frank Ocean. On this episode, Sean discusses his thoughts and predictions about Westworld Season 2 and shares a helpful NYTimes Season 1 recap to refresh Amita’s memory on the sci-fi fantasy series. Then, Amita has an exclusive sit down with Sean about his latest project, the new Viceland follow doc series, My House which chronicles the lives of performers in the NYC vogue ballroom scene. And the 2018 Tribeca Film Festival has started and we had the privilege to watch a couple of music focused documentaries- Howard and Blue Note Records: Beyond the Notes. Plus, Sean gives his 2 cents and rates last week’s Big Sell, an intimate NPR Tiny Desk Concert from the R&B/pop group, Rhye. In honor of the Max Fun Drive- we are proud to present our Spring Pop Culture Preview! We’ll share some inside info on the highly anticipated TV, Film and Music due out this Spring. And to help us out- our special guests – the hosts of Long Distance POPcast and JoJCast also share their picks! Spring is no longer the season to bide your time while you await the big summer blockbusters and concert tours. Some of the most innovative and surprising pieces of pop culture are about to slide into your earbuds and onto your television and movie screens and we’ll tell you what cannot be missed! Spring is also the time to support your favorite podcasts by becoming a member of Maximum Fun! We’ll tell you the glory (and gifts) that await you if you decide to become a member or renew your membership. Take a look below at all of the upcoming pop culture packed into this special podcast! This week, we have a spoiler FILLED discussion about the latest episode of Game of Thrones (You’ve been warned!) Reunions, Deaths (?) and Dragons- oh my! Plus, we discuss the mid-season finale of one of our favorite shows- Queen Sugar and talk about how the series is taking it up a notch in its 2nd Season. And we read some listener feedback to our discussion last week about the portrayal of South Asian relationships in Film and TV. Then, we talk about the lackluster box office for the film Detroit and our thoughts on why audiences may not have embraced the film as expected. And of course, we have another brand new Big Sell! Sean gives his thoughts on last week’s suggestion- the band, The Suffers, and sells Amita on a playlist that features artists from the upcoming AfroPunk music festival. We’ve had a busy pop culture filled week- starting with an exclusive screening of An Inconvenient Sequel: Truth to Power followed by a Q&A with Former Vice President Al Gore! We weren’t sure if we should bow or curtsy upon seeing him on stage. Then, we analyze some of the most talked about trailers featured at San Diego Comic Con- including The Defenders, Thor: Ragnarok, Justice League and Star Trek: Discovery. Do they stir up excitement or fall flat? Plus, we chat about the season two premiere of Insecure – guess how many times Amita mentions Lawrence? And we bring you another installment of “Way Into . . .” with our guide to get way into one of our favorite Brits- Idris Elba. And Amita gets her wish- Sean FINALLY watches one of her favorite episodes of the critically acclaimed Donald Glover FX series- Atlanta in The Big Sell. This week, we achieve the impossible- we discuss the finales of The Walking Dead and Big Little Lies without spoiling a thing! Our discussion focuses on the appropriate length of a season and the pros and cons of producing a series with an end in sight. Then, Sean takes a purple moment to celebrate the 30th Anniversary of Prince’s seminal album, Sign O The Times. 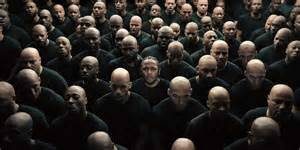 And the Big Sell gets super sized thanks to Kendrick Lamar’s single “The Heart Part 4” and the new music video for “Humble”. 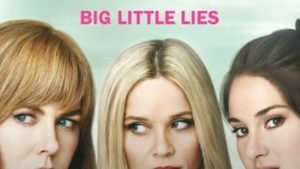 Listen now and let us know what you thought about the finales of The Walking Dead and Big Little Lies- @popinsiders on Twitter or Instagram. Buckle up because we’ve got another exciting installment of Inside Pop- featuring the best of Film, Television and Music this week! 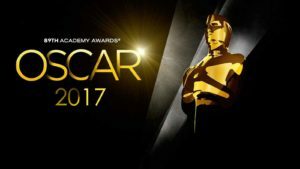 First up, we analyze the recently announced Oscar Nominations and discuss whether Oscar is still so white, how the love for La La Land will affect the Oscar telecast and the best way to predict who will win. 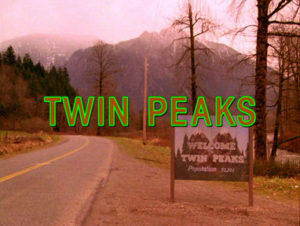 Then, we give you our Late Winter / Early Spring preview and share inside info on tons of shows including Twin Peaks, 24: Legacy, This Is Us, Fargo, Star Trek Discovery, The Good Fight and many more! Plus, Amita reports on the experience of participating in the NYC Women’s March and she and Sean rate Aziz Ansari’s hosting skills on Saturday Night Live. 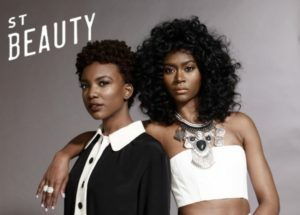 Finally, Amita rates Sean’s Big Sell from last week, two new singles from St. Beauty – the duo who are reaching new heights on Janelle Monae’s Wondaland record label. Amita’s Big Sell: Watch the moving song captured at the DC Women’s March “I Can’t Keep Quiet” here. Amita here with your #BigSell30 today! We’re in our last week of Big Sells and looking back at the last few weeks, as much as we felt like this was a challenge for us and for you, I have also realized how much I’ve learned about myself and felt like I’ve also revealed a lot about myself through this process. The Big Sell is getting deep! That being said, I’ll reveal a little more to preface today’s Big Sell: As a television and digital producer, one of my favorite jobs is to interview someone about their process. I had the honor and pleasure to do this recently with some of music’s biggest stars (Can’t discuss who now, but will soon!) and I just revel in hearing who inspires them or what it took to create a specific project/album/role. Variety Magazine’s Actors on Actors series does exactly that but with a slight twist on the typical interview format. In this web series, two actors interview each other – it feels like you’re in a personal conversation- you get to see actors learn about each other, and from each other. The episode I’d like to Big Sell features two of Television’s biggest stars (and friends of the podcast): Kerry Washington and recent Emmy Award winner Aziz Ansari. 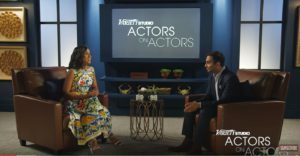 Their conversation is a revealing look into who they are as performers; but also focuses on roles they took behind the camera (Aziz on Master of None and Kerry on Confirmation). It’s smart, funny, insightful and at 22 minutes, it’s a rare opportunity to dive deep into their individual processes as actors, their struggles as people of color in Hollywood and how they are now in positions of power because of their hard work and success. I love to hear insider info like this and you don’t always get this much information in a 5 minute late night talk show appearance or 3 minute morning show chat. 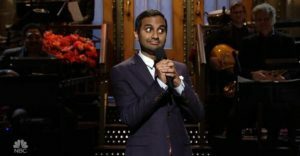 Aziz gives a great insider look into how his hit Netflix series Master of None came about and he reveals a great tidbit about the two episodes he directed- “Parents” and “Nashville” (they were his first attempts at directing and they shot the series out of order, so those two were shot at the end). 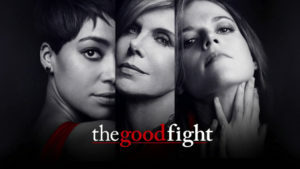 It’s such a great series and I’m already excited to watch the Mindy Kaling/Conan O’Brien conversation as well as the Courtney B. Vance/Tracee Ellis Ross one as well. Enjoy! Leave a comment below or tweet us @popinsiders to let us know what you think of today’s Big Sell. Also, be sure to let us know how #BigSell30 is going for you and you still have a few days to tweet us a Big Sell to be featured in the Big Sell 30 Day Challenge!